You won't believe you ever drove without it! 6) Doesn't acrylic or lexan yellow in sunlight? NO! 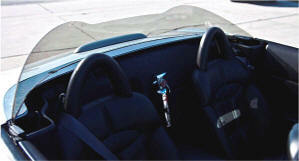 mounts with straps holding it against the seat backs. 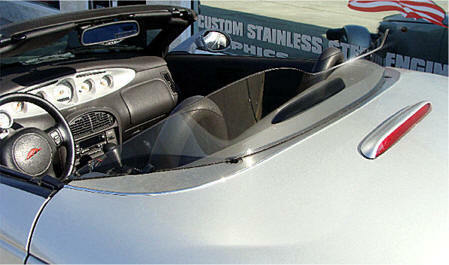 Designed for the Show Car in mind! Works Great! 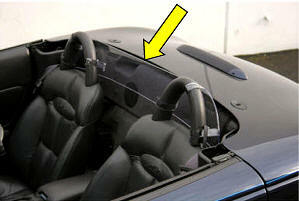 Extremely high quality deluxe Wind Deflector. 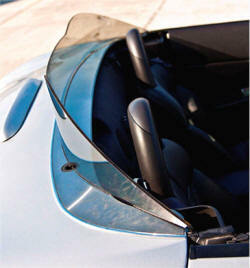 Made from extremely strong Dura-glass, nearly unbreakable. Super high quality with a modest Tint. 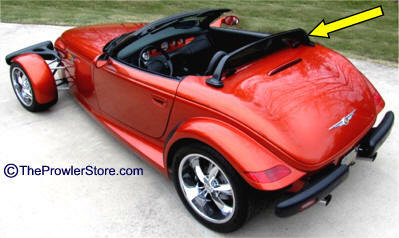 Gives your Prowler a "Show-Car" appearance while driving! Clear view see through material. Requires no mounting hardware. 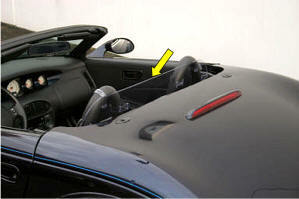 Mounts into the convertible top female latches on rear deck and also on corners of the trunk. 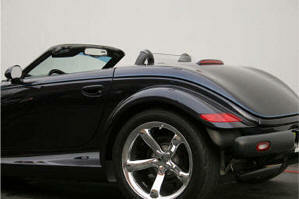 Cushion material on all edges touching the car for soft contact. Looks great! Works great! Stops wind noise and turbulence. Scratch resistant. Mounts firmly with no vibration. Will not come off until you remove it. Designed for the show car in mind. 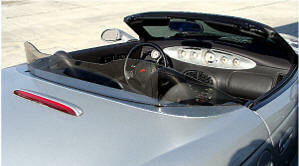 66" x 6" x 12"
Known as the "Air Patrol" wind deflector this fiberglass frame fits Mounts into the convertible top female latches on rear deck. 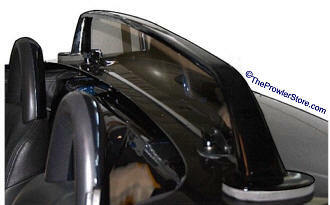 Plexiglas windshield.